Every time you press your brake pedal, you add more wear to your brakes. You expect your brakes to work, each and every time you press your brake pedal. For the vast majority of times, everything about that is normal. Once in a while, you begin to hear a squeak or feel a grinding sensation. At that point, your brakes may have already gone too far, and it’s time to have a technician repair your brakes. To avoid such a situation, simply have your brakes inspected on a regular basis, usually along the lines of that schedule in your owner’s manual. Every time you change your oil or have your tires rotated is a good time for an inspection or adjustment of your brakes. 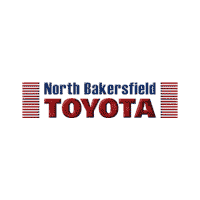 If you are thinking that it might be time for a brake inspection or you are experiencing some signals that your brakes might have some wear, come see us at North Bakersfield Toyota, in Bakersfield, CA, and we can show you to a qualified technician who will help to inspect, adjust, and repair your brakes. Contact us today!